Thomas Jefferson was our most brilliant president. He helped invent America, a new nation, from scratch. He conceived a grand vision for our country, articulated in the Declaration of Independence, and he served two terms in the White House to bring his vision to life. America, at that time, ended at the Allegheny Mountains, but Jefferson saw a horizon that stretched to the Pacific Ocean–a land where thousands of new farms would rise from the black soil. He sent Lewis and Clark to explore this wilderness, and at the opportune moment, he purchased the land from Napoleon. Jefferson personally drew the state lines of Middle America, and it is the choicest farmland on the planet. Jefferson lifted our laws, our culture, and even our gardens from the dank conventions of Europe, where peasants fought for scraps from the tables of the lords. In Jefferson’s America, every man and woman could rise above his circumstances to create something beautiful–to create a better life. For Jefferson, good food and wine fed not just the physical self; it freed the mind to dream. He was at his most creative when dining well. He designed his home and gardens at Monticello, an architectural masterpiece. He invented the swivel chair, the dumb waiter, the lazy Susan, and he invented what was, up to that point in history, the best plow in the world. Jefferson was an ambassador of agriculture. He toured the lush gardens of France and sent sketches to farmers back home. He purchased the best Merino sheep from Spain to start a new bloodline in America. And he literally risked his life by smuggling Piedmont rice out of Italy to help invigorate rice production in the Carolinas. Jefferson mailed thousands of rare and unusual seeds to farmers across America. 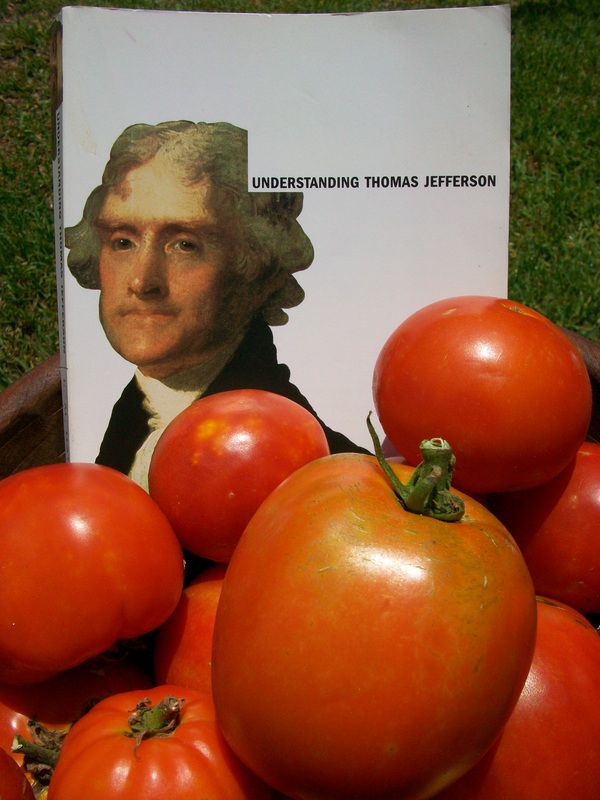 He introduced tomatoes, okra, and many other vegetables to the American palette. For Thomas Jefferson, good food and wine, enjoyed in a beautiful setting, with the intelligent conservation of decent people, was the highest achievement of mankind. We will celebrate that achievement, that epicurean ideal, at the KEDT Food and Wine Classic this Thursday evening. The VIP reception will be held at the art museum beginning at 6:30, and the main event will be at 7:00 at the Museum of Science and History. Tickets are available here. The best food and finest wine in Corpus Christi will be laid out in the museum, with the art and history of our country hanging on the walls. Good people will be there, and excellent conversation. The only thing needed to bring the evening to its perfection is your presence. Hello James! Thank you so much for your interest in us, and in growing your own healthy food! We are going to hold a couple of gardening classes at our place this spring. We will announce these classes in advance. Check back with our site, or you can sign up to receive e-mail notifications, which will provide more information. Thanks James!